However, US officials admitted that they were unable to independently verify any information about the alleged incident and had to rely solely on “reports” made by rebel-linked sources. The EU claimed on Sunday that there is “evidence” pointing to “another chemical attack” conducted by Damascus. It provided no specific details to substantiate the claim. Instead, the bloc called for an immediate “international response” and urged Russia and Iran to use their influence to prevent any similar incidents in future. 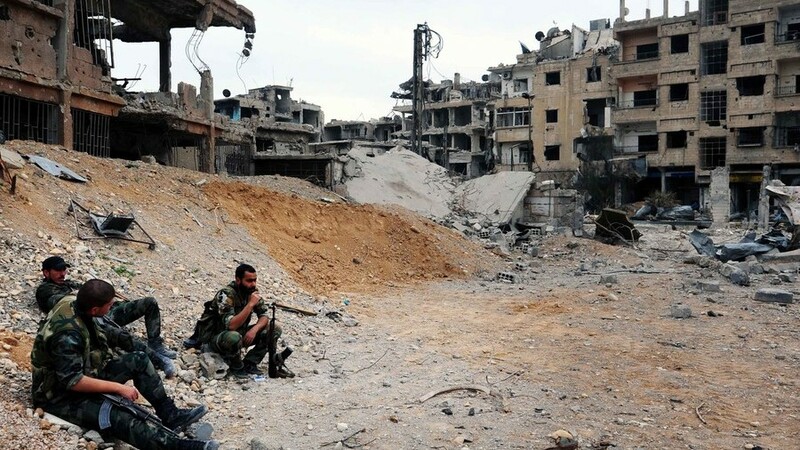 Damascus rejected the accusations, calling them “boring and inconclusive propaganda.” Only countries that “speculate on the blood of civilians and support terrorism in Syria” could be convinced by such reports, a Syrian Foreign Ministry official told SANA news agency. They pointed out that similar allegations emerge every time the Syrian Army makes advances in its fight against terrorists. The official added that Damascus had warned about a pre-planned false-flag attack. Tehran has denounced statements made by US officials, describing them as “baseless accusations” that could be used as a pretext for military actions against the Syrian Army. This is not the first time that reports of chemical attacks pinned on Damascus have surfaced on social media.